Head over to Amazon and get the Dynamic Cook 5 Blade Culinary Herb Scissors with Cover and Attached Cleaning Comb for just $9.37 (reg. $14.99). Shipping will be FREE with Amazon Prime or an order of $35 or more. ERGONOMIC DESIGN – Your comfort in mind; The soft handle on this pair of shears makes for comfortable fingers while cutting your Fresh herbs. GREAT GIFT ITEM FOR MOTHER’S DAY – Dishwasher safe and 100% SATISFACTION GUARANTEED OR YOUR MONEY BACK. SAFE & CONVENIENT – Comes with a cleaning comb that doubles as a safety cover. 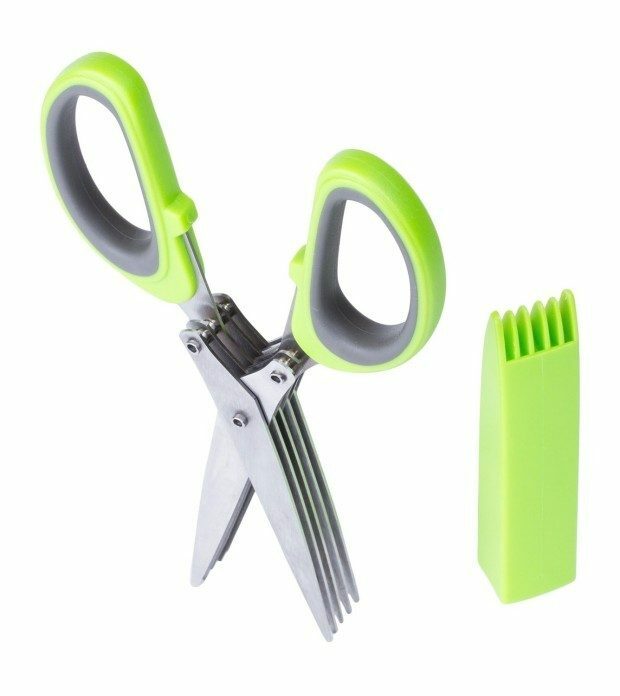 The combs edges perfectly fit through the five blades to easily clean your herb scissors with one quick swipe.